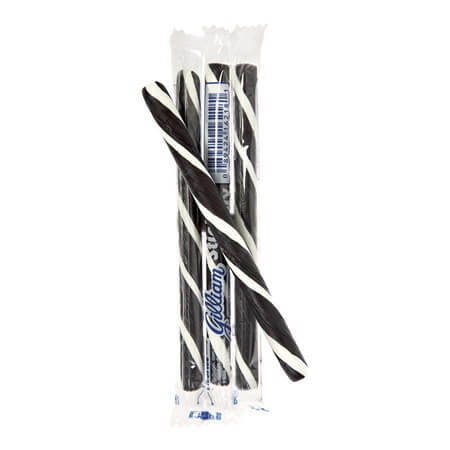 Licorice Old Fashioned Stick Candy is reminiscent of a retro style barber pole design but in black and white. 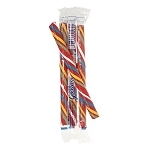 Stick candies are a highly loved treat and have been for generations. Easy to grab as well as choose your favorite flavors from the old-fashioned stick candy displays, customers love that it's a breeze to enjoy. Place all your wholesale stick candies near each other in jars or displays cases. Not only does it look nostalgic, but it also creates an effortless set up for choosing all the best flavors. These are perfect for candy buffets at events where black and white are the colors especially. 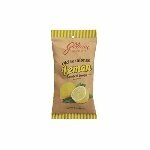 For anyone who loves that distinct taste of black licorice, this is a hard candy that needs to be kept on hand for snacking. Order yours today!